Warm Red Sea, plenty of water activities and low prices with excellent service – all year round attracting tourists in Sharm el-Sheikh. During the day you can bask on the beach for a long time, at night – have fun in the nightclubs. 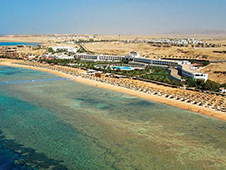 The resort on the Sinai Peninsula, stretching along the sea 35 km – a paradise for divers. For lovers of historical attractions of Sharm el-Sheikh is interesting, first of all, the mountain of Moses – a sacred place for Jews, Christians and Muslims. Numerous visitors are also attracted by the ancient tombs Navamis and St. Catherine's Monastery. Fans of natural beauty worth visiting Coloured Canyon, astounding bizarre game of shapes and colors. Unfortunately, all these attractions are outside the city, so fans of active holidays without cars can not do. You can rent a car in the "Ras Nazran '- at the airport in Sharm el-Sheikh, after making your site bookingcar.ru. A police officer is not required to stop the driver violated traffic rules. It simply records the number at the machine, makes the report and after a time the culprit causing the station to present a receipt for payment of the fine. Since all the papers are filled in Arabic, the offender is a foreigner, be warned beforehand about the translator. In Egypt, you can not put the car near the government buildings and residences of politicians, but you can park free on the street. However, to make it physically extremely difficult due to the excess of cars in the resort town. At night, rented cars can be parked on the paid parking, which in Sharm el-Sheikh lot. Cost of service - 15-20 EGP. Parking for 2-3 hours will cost 5 EGP. During the movement not allowed to talk on the phone. Movement in the country right hand, can only overtake on the left. Young children should be transported in car seats. The minimum age for the driver of rented car in Egypt - 25 years. On the road you can ride at a speed of up to 100 km / h.
The rate of movement in the city should not exceed 60 km / h.
Car rental in Sharm el-Sheikh will not hit the pocket, since fuel is cheap. A liter of gasoline costs an average of 1,75-1,85 EGP, diesel - 1,1 EGP, gas - 0,45 EGP. In the desert refueling rare, so better stock up fuel for future use.